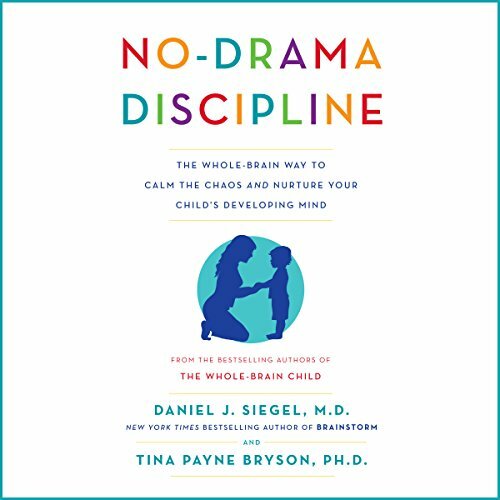 The pioneering experts behind the bestselling The Whole-Brain Child - Tina Payne Bryson and Daniel J. Siegel, the New York Times bestselling author of Brainstorm - now explore the ultimate child-raising challenge: discipline. 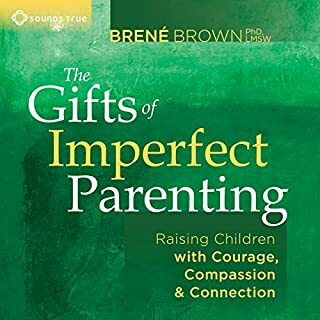 Highlighting the fascinating link between a child’s neurological development and the way a parent reacts to misbehavior, No-Drama Disciplineprovides an effective, compassionate road map for dealing with tantrums, tensions, and tears - without causing a scene. twenty discipline mistakes even the best parents make - and how to stay focused on the principles of whole-brain parenting and discipline techniques. Complete with candid stories and playful illustrations that bring the authors’ suggestions to life, No-Drama Discipline shows you how to work with your child’s developing mind, peacefully resolve conflicts, and inspire happiness and strengthen resilience in everyone in the family. 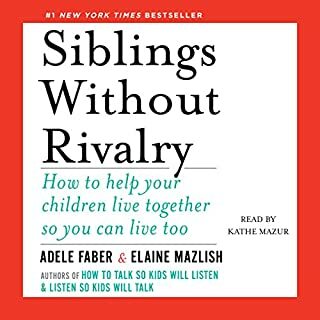 This book takes an effective and gentle discipline approach and breaks it down in a way that is really easy to understand and implement. 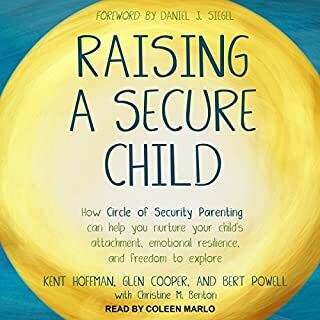 A must read for parents interested in the practical application of discipline with an AP parenting approach. I loved the authors in this! Everything is easily understood and works for us. Thank you! 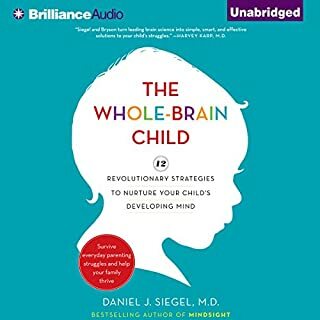 fantastic book to get insight into the child's brain in relation to discipline. every parent should read it. Love the advise. sometimes its hard to know the best way. these examples are backed up by the science of the brain and are explained in a simple way that anyone can understand. And it leaves room for the imperfection that all humans are. small and easy to do changes which can make huge differences in the way you and your child interact. Love it and will recomend it to anyone. A must read for all parents! A good eye opener about how counterintuitive successful parenting is. Now when I'm at the mall or at wal-mart and I see other parents constantly nagging at their kids who are out of control I know why. I used to have a teacher in high school who had such an amazing and polite little 5 year old boy. Now that I think about his style as a teacher, I know why his boy was like that after reading this book. 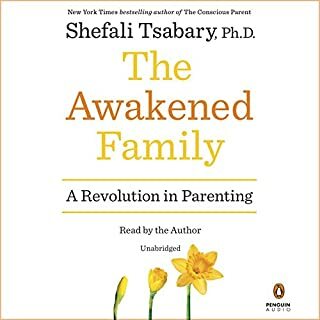 This book will challenge your thoughts about parenting - because it's likely that your parents did it backwards as well. Our boy is 2 and I had a couple times where I found myself going down the traditional road of "trying to straighten him out". The problems continued, but after reading this book I can see change. 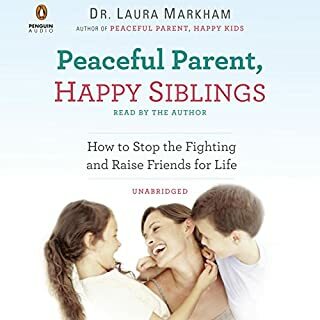 It is a challenge to follow the methods, but the book's goal is to re-wire your brain on the cause and effect relationship between your actions as a parent in discipline and your child's actions or temper. Learned and still learning so much from this absolutely great book. I would recommend it to anyone and everyone. i loved how real-life the authors made this book. 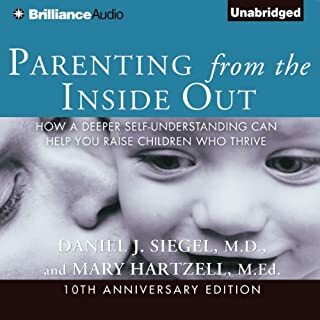 it not only teaches a fantastic approach, but applies it to very real, very relatable situations that parents deal with and struggle through. the balance of theory and practical examples is pretty much perfect. This book really helped me understand my child's emotional needs. It gave me many tools to become a better parent to my child. 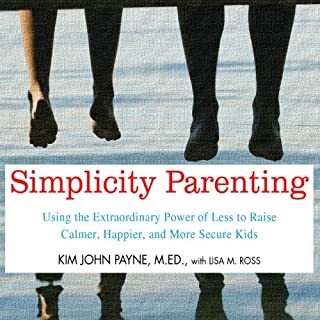 This book gives some great practical advice to help decrease the drama at home. Our home is much more relaxed and fun since trying these techniques. If you could sum up No-Drama Discipline in three words, what would they be? 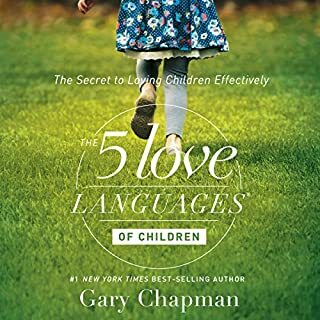 This book helped me with my daughter in so many ways. I have a new understanding of why certain things I did didn't work. 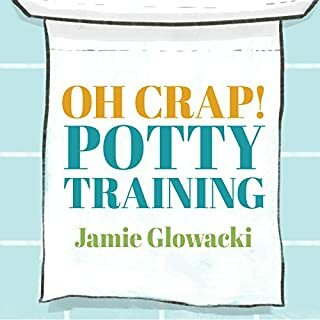 This book is priceless for parents in my opinion. I had reached the end of my rope with my 11 year old daughter's disrespect and defiance. After listening to No-Drama Discipline and using some of the technics taught in it I feel empowered! I actually understand my daughter's behavior much better and I now have the tools to direct and teacher her the proper way to handle herself when she doesn't want to do something. Instead of battling with her and handing out a punishment I'm able to step back and recognize which part of her brain she is using and help her move to the part of her brain that allows her to make better choices!! Thank you Drs Daniel and Tina! I'd like my parents to discipline me like that when I was a kid! 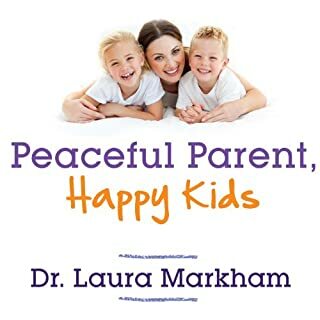 I've read lots of parenting books and so far encountered only two (including this one) which technics not only work but help to bond with your child. 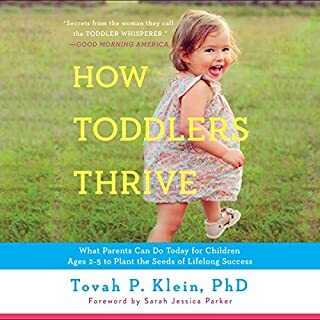 This book focuses on not how to make your child to do what you want, but how to teach your child so they understand why they need to behave that way. And this is one of the biggest parenting goals to make our children independent adults, who knows how to make good choices whether they are with us or not. Sometimes it's a bit repetitive but this makes you see author message from various sides and remember it. 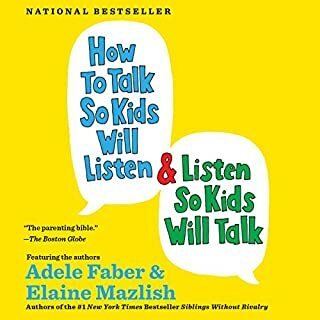 The second best book about parenting is "How to Talk So Kids Will Listen, and How to Listen So Kids Will Talk" Adele Faber. Another book about respectful parenting. Strongly recommend both books! 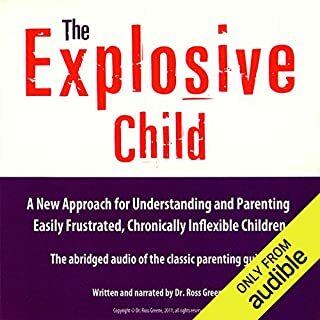 most helpful parenting book I've ever "read". 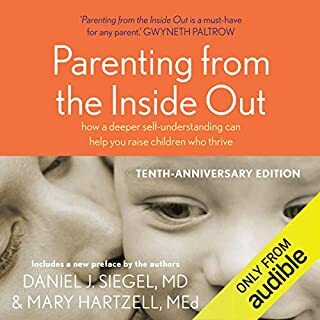 I will recommend this book to anyone that is struggling with their parenting or is having issues with their self confidence with their parenting. 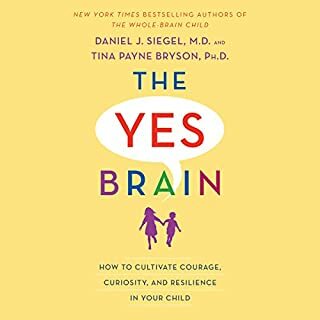 Daniel and Tina comfort you while also providing insight into the mechanics of brain development and invite you to be more curious about why our children behave the way they do. they give you strategies paired with questions/comments to ask and make. I've used them in moments of upset with my 5 year old and have had beautiful moments of connection after she has settled her big feelings. There was one day, where she cried for 50 minutes. First it was because it was time to get on the bus (no Wi-Fi for the iPad) then it was that she wanted to go for dinner, and then she wanted a treat. It was loud and unrelenting. I struggled to get through it and my internal dialogue was less than positive at times (brat, ungrateful, spoiled) but it also included sympathy for her big feelings and an understanding that it was probably about something else. In the end, through her tears, she said, I just want a big big big big... hug. I held her and she said, I don't know why I'm crying. I don't know what's wrong with me. such simple words but they made me realise that there are moments we all have that we are confused and lost. me getting mad at her for that would have made me feel like a terrible mother. 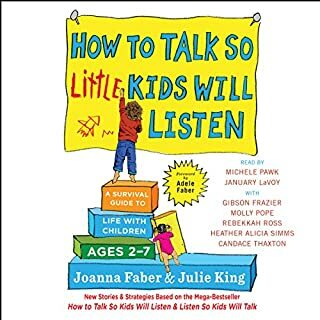 I'm still learning to stay calm and allow my kids to have those moments of loud and intense emotions so will definitely listen to this book when I am struggling. Thought provoking book. I have already implemented some of the techniques in the book. I'm trying not to be reactive but rather I'm trying to connect with my child. Unfocused presentation of great ideas. While ostensibly written for parents, this book is wordy, repetitious and unintentionally condescending. The authors have enormously valuable information but fail to present it in a concise and direct format. There is so much repetition and careful couching of concepts that I found it difficult to stay focused on the book. Even though this is an excellent book, the whole brain child is better by far. I felt that some of the ideas where repetitive, and I didn’t find any new information compared to what I read in the Whole Brain Child. Having said that, this book was great too. I enjoyed it a lot and finished it fast. I have listened to both The Whole Brain Child and No Drama Discipline and look forward to Brainstorm next. This book has helped me identify things I do correctly and not only things I can improve on but things I can repair. It has already impacted my relationship with both children (12 & 8), my wife, and business colleagues. I can't recommend these books enough. Thank you to all involved. Recommended by a friend who is herself a child psychologist. Really enjoyed it and helped me understand the concepts she talks about.